Borodin Polovetsian Dances from "Prince Igor"
Borodin "In the Steppes of Central Asia"
Saint-Saëns "The Carnival of animals"
Musical-theatral 3D Lazer Show "Christmas Waltz" - Gala-concert of the Moscow festival "The best winter city"
Beethoven Overture to "The Creatures of Prometheus"
Mozart Aria of Fiordiligi from "Cosi fan tutte"
Gala Concert of “Operetta-Land” Competition. National Philharmonic Orchestra of Russia. Overtures: Rossini “Cenerentola”, “William Tell”, Verdi “La Forza Del Destino”; Extracts from Mozart “Cosi fan tutte”, Verdi “La Traviata”, Rossini “Barber of Seville”, etc. Berloiz “Fantastic Symphony”, Schedrin Piano concert #2. Mozart: “Jupiter” Symphony, “Zauberflute” Overture; Beethoven “Egmont”, Weber “Oberon” Overtures. Overtures of Mozart, Beethoven, Weber, Wagner, J.Strauss. The release of a new CD by I'M Piano Duo (Irina Silivanova - Maxim Puryzhinskiy) "French Carnival", where "The Carnival of the Animals" was conducted by Ksenia Zharko. International Masterclasses for Orchestra conducting with Prof. Vladimir Fedoseev. From the 25 participants, conducted in the First Round (with piano) maestro selected only five to conduct Tchaikovsky Symphony Orchestra. Ksenia Zharko became on of this five. 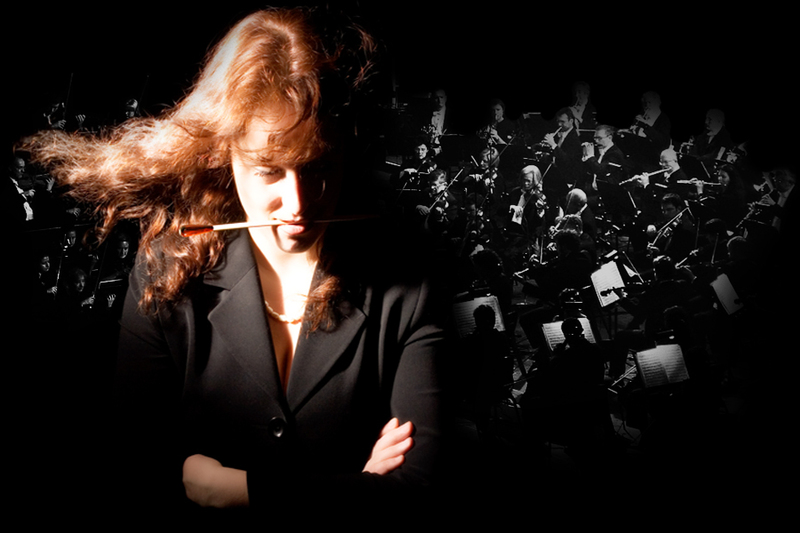 See Tchaikovsky Sixth Symphony, played by Tchaikovsky Symphony Orchestra and conducted by Ksenia Zharko. See Reportage about Vladimir Fedoseyev Masterclass on TV Culture.